News at Spencer Public Library: Get Ready For The Clay County Fair! Get Ready For The Clay County Fair! Get ready for the Clay County Fair with Author Arla Kintigh. She will be at the library for a book signing of her new book, Fairgoers Do Not Live on Fried Food Alone. 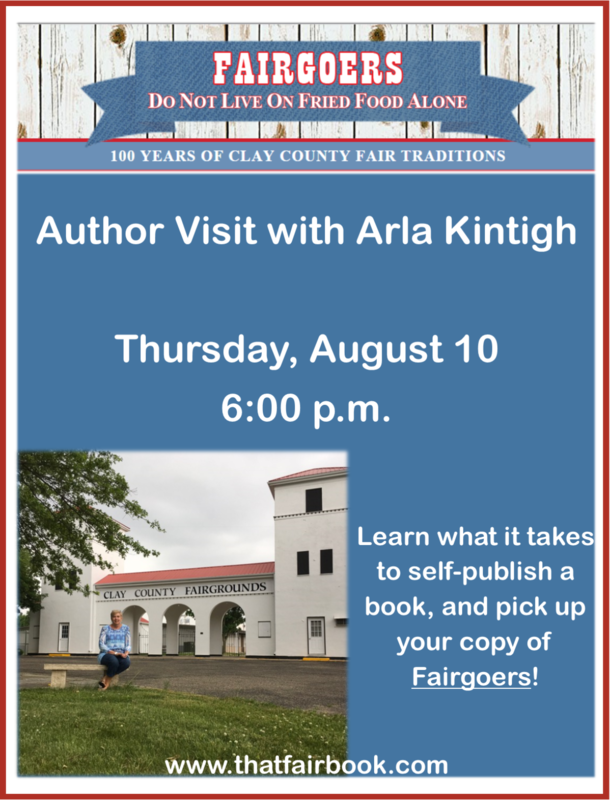 She will discuss the joys and pitfalls of self-publishing and talk about the historically delicious food that has been at the Clay County Fair.